Camshafts have been a part of engineering for centuries. An early cam was built into the Hellenistic water-driven automata from the 3rd century BC, which is probably the first engineering reference to camshafts. Since then, camshafts have been used in everything, from driving time devices to music boxes, and more importantly to our discussion� the internal combustion engine. We�re going to take a brief look at the history of camshafts, the men and companies that started grinding camshafts for higher performance racing engines, and lastly, we will talk about the current trends and where the future of camshafts is heading. What Does a Camshaft Do? The camshaft spins inside the engine block, usually driven by the crankshaft. When it spins, its lobes � or cams � open and close the intake and exhaust valves on your engine in time with the piston to allow air in and exhaust out. Steeper ramps and a rounded nose are identifying details of a roller type camshaft. The shape of the camshaft�s lobes affects your engine�s performance, especially at higher rpm. At 4,000 rpm, the valves open and close about 2,000 times a minute. This allows air to enter and exit the engine extremely fast. The faster an engine goes, the more airflow it needs. Racing cam grinders know this and grind the camshaft�s lobes to stay open longer to keep air flowing at higher speeds. The air enters the cylinder very quickly by the time the piston is at the bottom of its stroke; if the valve were to shut suddenly, the air flow into the cylinder would stop and it would lose momentum. The faster the engine goes, the more momentum it needs. So it�s better to leave the valve open a bit longer to keep air flowing at higher speeds. The camshaft�s lobes can be placed on the camshaft where the timing of the valve events happen earlier or later in relationship to the piston�s movement. The timing of the camshaft can be advanced to produce better low rpm torque, or retarded for better high rpm power. Either of these moves the overall power produced by the engine down or up the rpm scale respectively. The lobes of a camshaft can be placed on the camshaft where valve timing events can take place earlier or later in the cycle. Measuring for exactness of the timing events and the amount of lift on the lobe is critical in high performance engines that have a smaller tuning window. Smokey Yunick once explained that building a relationship with a cam company was vital for a racer�s career on the track. According to Smokey, �The only way to build that relationship is to call the camshaft companies and talk to them.� There will be one, or more, that you feel comfortable with, and you need to stick with that company. These camshaft companies are invested in making sure you get the right cam for your application because they want your business for a lifetime. Besides, they are the experts in a very technical field with years of research and development behind their products. ADVANCE: In reference to camshaft timing, advance allows the intake and/or exhaust valves to open and close earlier in the engine cycle. BASE CRICLE: The concentric or round portion of the cam lobe where valve lash adjustments are made (also called the heel). CAM DEGREEING:The process of measuring the exact degree position of the camshaft relative to the combustion cycle. This process allows cam timing to be adjusted to match the performance characteristics of the engine. CLOSING RAMP: The portion of the camshaft lobe from the nose (highest lift point on the cam lobe) to the closed valve position. DURATION: The amount of time measured in degrees that the valves are off their seats during the lifting cycle of the cam lobe. INTAKE CENTERLINE: The midpoint of the intake lobe. LIFT: The distance the valve travels to its maximum open position measured in fractions of an inch. LIFTER: Usually a roller or flat faced companion to the camshaft that transfers the action of the camshaft to the rest of the valve train by sliding or rolling on the cam lobe surface. LOBE: The lobe is eccentric to the cam bearings of the camshaft and transmits a lifting motion through the valve train to operate the valves. The design of the lobe determines the usage of the camshaft � i.e., street use, all-out competition. LOBE SEPARATION ANGLE: The distance in cam degrees between the maximum lift point on the intake lobe and the maximum lift point on the exhaust lobe. OPENING RAMP: Responsible for opening the valve to its maximum lift point, this section of the camshaft lobe is located between the base circle and the lobe peak, or nose. OVERLAP: A situation where both the intake and exhaust valves are open at the same time when the piston is at (TDC). RETARD: In reference to camshaft timing, retard allows the intake and/or exhaust valves to open and close later in the engine cycle. SOLID LIFTER: Purely mechanical cam followers. This follower or tappet requires either adjustable pushrods or adjustable rocker arms to obtain the required valve lash. VALVE LASH: A measurement taken between the tip of the valve stem and rocker arm tip. Valve lash is always measured with the lifter positioned off the lobe of the cam. Early engine designers were surprisingly knowledgeable about cam timing and its influence on engine performance. Prior to 1908, a report by August Degner, a Ford engineer, detailed the study of the Ford Model N (the model that preceded the Model T). The group compared a cam with 205/217 intake and exhaust duration to one with 210/224. Both camshafts had fairly tight, 108.5 and 109 degree, lobe separations (we�ll cover lobe separation shortly). The shorter duration cam was retarded 0.5 degrees and the longer duration one was retarded 3.5 degrees. The group concluded that the long duration cam produced the highest horsepower (at 1400 rpm), while the shortest duration cam had better drivability. The shorter duration cam was selected for the vehicle. If you were lucky enough to have a Winfield carburetor, camshaft or cylinder head, you were the top dog. If you were lucky enough to have all three, you were probably going to show up in the next Indy 500. Winfield�s family was fairly well off for the time and young Ed convinced his mother, a successful real estate agent in Los Angeles, to buy a used cylindrical grinding machine. Winfield modified the machine to fit a rocker table so that he could grind cam lobes. His first efforts were making reground camshafts for Ford Model Ts that were destined for the circle track, racing on dirt and wooden board tracks. Winfield offered two different cam profiles: Semi-Race and Full-Race. Shortly after he decided to make a profile that fit between these two and the �three-quarter race cam� was born. Winfield was trained by Harry Miller, of the famous Miller race car fame, where he learned machining engine parts in the Miller Machine Shop. From those meager beginnings, Winfield created his own camshaft patterns and taught others how to grind cams. Harvey Crane said that �Winfield�s tree of camshaft companies spawned nearly all racing camshaft companies. Either directly or indirectly.� The notable exception was Pierre Louis Bertrand, known as �Pete� to his friends. Bertrand was born in Mexico but his family moved to a farm in Nebraska, where Pete grew up. Building and racing dirt track sprint cars became a passion and in the 1930s, Bertrand moved to California with race car in tow. Bertrand was involved in a serious crash in the AAA Pacific Coast Sprint Car circuit in 1935 where he landed in the hospital for an extended stay. Shortly after being released from the hospital, Bertrand was involved in another race crash where he found himself in the hospital yet again. This time he hung up the helmet. In order to stay close to the sport, Bertrand began to grind cams for the local racers. He became Winfield�s competitor and by customer loyalty and choice, the cam sales traded between the east side and the west side of Los Angeles for racers. Bertrand unexpectedly died in 1942 at the young age of 40-years old. One of Bertrand�s employees, Clayton �Clay� Smith purchased the business and renamed the company Clay Smith Cams. The early cam grinders could not have pictured the overlapping of timing events, the amount of lift in the cam lobes or the steep ramps on either side of the cam lobe like the camshaft pictured above. They didn�t have to � the engines they ground cams for were low rpm engines. Most of the best known cam makers as well as supporting companies who provided raw materials for the cam makers evolved from the late 1940s and early 1950s with most being located in Southern California. Included in this group were Kenny Harmon and Cliff Collins (Harmon & Collins), Ed Iskenderian, Howard Johansen, Bruce and Dave Crower, Chet Herbert, Jack Engle, Clay Smith and Dempsey Wilson. Back East cam companies included Harvey J. Crane, Jr. (Crane Cams), John Schooler (Schooler Cams), Caesar Laterio (Laterio Racing Cams), The Ambler Brothers, Ray Giovannoni (Giovannoni Cams) and a handful of others who bucked the SoCal trend and began their operations in shops located on the east coast. During the late 50s and early 60s, these cam companies experienced tremendous growth. Like many growing companies, some split up or former employees opened up their own shops. Among these newly founded cam shops were Lunati Cams, Cam Dynamics, Competition Cams, Cam Techniques, General Kinetics, Sig Erson (later known as Erson Cams), Huggins Cams, Moon Cams, Potvin Cams, Norris Cams, Reed Cams, Racer Brown Cams, Schneider Cams, UltraDyne Cams, Weber Cams and Race Cams, Inc. Most camshaft grinds cannot be measured by the naked eye. The manufacturer�s specification card that comes with each camshaft gives you the necessary information. You must take your specifications cam card into your engine builder with your cam. While the growth of aftermarket camshafts has seen a massive change from the early days, through the bang era of musclecars, to the efficient modern vehicles� very little has really changed from the roaring twenties. Materials have gotten better and processes have become more efficient, but the camshafts still look similar to the earliest racing camshafts created by Winfield. While they may look the same, it�s as difficult as ever to pick a camshaft for your high performance engine. Within a short time, Smith�s company became a successful supplier of racing cams to the Southern California racing community. Smith also fielded a sprint car called the Clay Smith Cams Special, driven by Rodger Ward, who would later win the Indy 500. While competing in a race at Du Quoin, Illinois, in 1954, Ward�s car crashed with another, careening across the track where it struck and killed its owner, Clay Smith. Clay Smith Cams, the offshoot of Pierre Bertrand�s original company, changed hands several more times until settling in the ownership of George Striegel, in 1968. 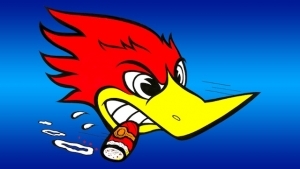 Clay Smith Cams today is operated by Striegel�s family, and it produces not only racing cams, but a variety of promotional items adorned with the famous cigar smoking, clenched-tooth woodpecker. Most cam spec cards that come from the different companies look similar if not exact to the others. There may be company specific information, like cam grind number or part number, but much of the information is similar from one manufacturer to another. When reading a cam spec card, the first thing that should be printed near the top is the type, style and application. A V-8 Chevy 262-400cid, 8 cylinder 1955-1998 engine should have a camshaft built specifically for that type engine. The spec card should identify if the camshaft is a mechanical or hydraulic flat tappet or roller style camshaft. You must use the right tappet for the type of camshaft that is being installed. Specs that are common to each cam manufacturer include lobe separation, duration @ 0.050-inch lift, advertised duration, valve lift and valve lash for mechanical lifters. Most of the newer cam spec cards list the degrees that the intake and exhaust valves open and close. From these set of numbers, you can calculate the overlap of the valve timing events. An engine will have a period of valve overlap at the end of the exhaust stroke. The intake valve is opened before the exhaust gases have completely left the cylinder, and their considerable velocity assists in drawing in the fresh charge. Cam designers aim to close the exhaust valve just as the fresh charge from the intake valve reaches it. This helps push out or scavenge exhaust gases and prevents a loss of fresh charged fuel/air in the chamber. Specs from the cam card will also help the engine builder degree a cam for the engine. Knowing where the intake opens will assist the builder in finding if the camshaft is advanced or retarded. This information will be applied to the engine timing for best efficiency and power. Early cam grinders knew that changing the lobes for overlap and duration could help performance. This cam card shows the overlap between intake and exhaust lobes. Cams can be broken into four basic types, based on what kind of lifters they�re designed to work with. Flat tappet cams use lifters (also called tappets, naturally enough) with flat faces that ride directly on the surface of the cam lobes. Roller cams have lifters with (you guessed it!) roller bearings on the tips that contact the camshaft. While roller lifters can follow more radical cam profiles and offer less friction than flat tappets, they also have more mass and complexity. Flat Tappet Mechanical camshafts were born out of the musclecar era where valvetrain technology blossomed. Like the hydraulic flat tappet camshaft, the mechanical flat tappet camshaft is also a low cost unit but can make more power than the hydraulic flat tappet cam. It does require more maintenance than the hydraulic cam however, and routine adjustment of the valve lash manually. The other distinction is between �mechanical� lifters with solid machined bodies that transmit motion directly from the tappet face to the pushrod, and hydraulic lifters that use an internal piston supported by oil pressure to take out any slack (known as �lash�) in the valvetrain. Because there must be a provision for a little bit of lash to accommodate expansion, solid lifter valvetrains need adjustment periodically to account for wear. Hydraulic camshafts don�t need this attention, but again, the lifters are heavier and more complicated, and the pistons can �pump up� or stick, causing the valves to not seat properly or not open all the way. Flat tappet cams use a cam follower (lifter) that has a flat face where the follower contacts the cam lobe. This type of valvetrain involves more maintenance and a break in period. The components �wear in� to each other and may not be used in different lifter bores in the engine and should not be used in other engine blocks. �A lot of people assume that hydraulic rollers make more power than a solid flat-tappet. Hydraulic rollers start getting unpredictable at higher revs and even could be worse than a hydraulic flat-tappet because they weigh more. All things being equal, a solid flat-tappet will make more torque and power, and it�ll also rev as long as you got enough spring pressure to control it,� says Lunati�s Steve Slavnik. The Hydraulic Flat Tappet camshaft has been the standard for over 40 years. Its success and popularity is due because it is inexpensive, requires very little routine maintenance and makes good power. This cam selection must be used with hydraulic lifters, as hydraulic lifters employ an oil-damped, spring loaded plunger to help maintain valve lash automatically. Flat Tappet Camshafts are some of the oldest technology in automotive history. �Enthusiasts still purchase a surprisingly high number of flat tappet camshafts,� says Chris Douglas of Comp Cams. Roller camshafts require a cam follower incorporating a roller bearing where the follower makes contact with the cam lobe. The ramps on Roller camshafts are too steep for flat tappet cam followers to ride on without digging into the cam lobe. Hydraulic Roller camshafts are more expensive than flat tappet camshafts but can make even more power than the mechanical flat tappet cams. In addition to lower friction, a steeper ramp can be manufactured into the cam lobe for greater duration. The hydraulic roller camshaft also requires no break in, unlike the critical process required for flat tappet camshafts. As an added bonus, these cams offer the best durability of the different types of camshafts. Mechanical Roller camshafts are on par with the hydraulic roller camshafts price-wise and are often considered the ultimate in power. They also have steeper cam ramps and longer duration than flat tappet camshafts. Like the mechanical flat tappet camshafts, these require routine maintenance to keep them operating properly. Sliding friction from the lifters riding on the cam lobe surface is substantial. In addition to the mechanical friction, there is a considerable amount of force that is required to overcome the valve springs used to close the engine�s valves. At idle, it is estimated that up to 25% of the total engine�s output is used to overcome the valve spring pressure. The industry has been experimenting with ways to recover that lost energy. The 2014 Impala will feature the new Intake Valve Lift Control (IVLC) technology that enables variable intake valve lift, duration and timing over a wide range of engine operation. This is a step in the direction of camless engine technology. One of the more recent advancements created to deal with the mechanical energy loss is a springless valve system. Ducati motorcycle engines have used this technology with very good success and there are several patents awarded for other systems that are still being refined. In essence, the springless valve system is controlled by a cam follower to lift the valve and another cam follower designed on the other side of the base circle to close the valve. Camless valvetrains use electromagnetic, hydraulic, or pneumatic actuators to open the valves instead of a camshaft and lifters. Actuators can be used to both open and close the valves, or an actuator opens the valve while a spring closes it. While the systems sounds less complicated, camless engines are not without their problems currently. Common problems include high power consumption, high speed accuracy, temperature sensitivity, noise, cost, and electrical problems are some of the issues that currently hamper any camless systems. Camless valve trains have long been investigated by several companies, including Renault, BMW, Fiat, General Motors, Lotus Engineering and Ford. There are some camless systems commercially available, although not in production vehicle engines. Rotary or Wankel Engines are a type of internal combustion engine that uses an eccentric rotary design to convert pressure into a rotating motion instead of using reciprocating pistons. The four-stroke cycle takes place in a space between the inside of an oval-shaped housing and a rotor that is similar in shape to a triangle but with sides that are slightly curved. The very compact Wankel engine delivers smooth high-rpm power. Rotary engines experience sealing issues that are not a problem with piston driven engines. While piston rings are not a perfect seal, they do allow for expansion in each ring. Rotary engines experience leakage between the chambers and at the chamber ends. This leakage reduces its power efficiency. Comparison tests have shown that the Mazda RX-8 rotary engines use more fuel than heavier vehicles powered by larger V8 engines in similar performance results. Currently rotary engines are mainly used in applications like racing engines and sports vehicles where efficiency and long-life are large considerations. The search for the next best thing to control intake air and exhaust gasses continues but one thing is certain; camshafts will continue to be the musical conductor for all engine air timing events for years to come.